Your garage door has one job and that is to open and close. When it comes to the closing part, certain things can prevent it from doing so. Obviously, your garage door has a lot of moving parts, without an electric garage door opener. There are garage door springs, garage door tracks, rollers and garage door openers double that. So yes, there are many reasons your garage door may not close properly, or may not close at all. Today we will go over what those reasons are and how to deal with them appropriately. 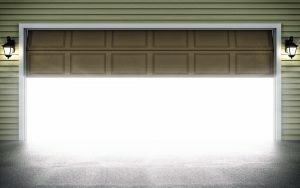 This is the most obvious reason your garage door might not be closing. However, it is not the easiest to figure out, contrary to popular belief. You see, many garage doors with electric openers have sensors these days. These sensors are a great safety and security upgrade but do have their flaws. For instance, they stop your garage door from closing if something is in the way… and sometimes if it seems to them that an object is in the way. That’s right, they can be wrong. Feel free to gasp or let your jaw hit the floor. All kidding aside, make sure that your garage door is free and clear of anything they might sense (however incorrectly) is in the way. This is usually caused by safety sensor misalignment. On the other hand, something might actually be in the way. This doesn’t just mean on the ground around your garage door, either. Make sure you haven’t hung anything off of your garage door tracks. Make absolutely certain that they are in good working order and that nothing is on them obstruction your garage door rollers. This is a very common problem, even more, common than garage door safety sensor problems. This is an obvious first thought but isn’t always obvious by sight. Though, chances are that you will hear it. If your garage door tracks are cracked, broken or otherwise damage, your garage door will not open or close correctly. Actually, it might not move at all. 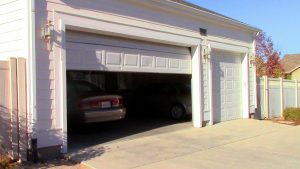 This is also dangerous, as the remaining supports for your garage door can break, causing your garage door to come crashing down on people and anything else below it. 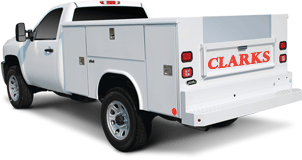 The lightest garage door on the market weighs about eighty pounds. That is a significant amount that can kill a person and seriously damage vehicles. This is exactly the reason you do not want your garage door not to close. While not the most expensive part to break on your garage door, it is still a costly and time-consuming repair that you should never attempt yourself. If you didn’t know, your garage door springs counteract gravity and make that heavy garage door easier to open and close. Even an electric garage door opener needs these to work properly. Some garage doors also have cables that run in cycles opening and closing your garage door. When these cables wear out they might not work properly anymore. Another problem is with garage doors with travel settings. Yes, some garage doors can be set to close or open a certain amount. If this is incorrect, then your garage door won’t close or open properly.